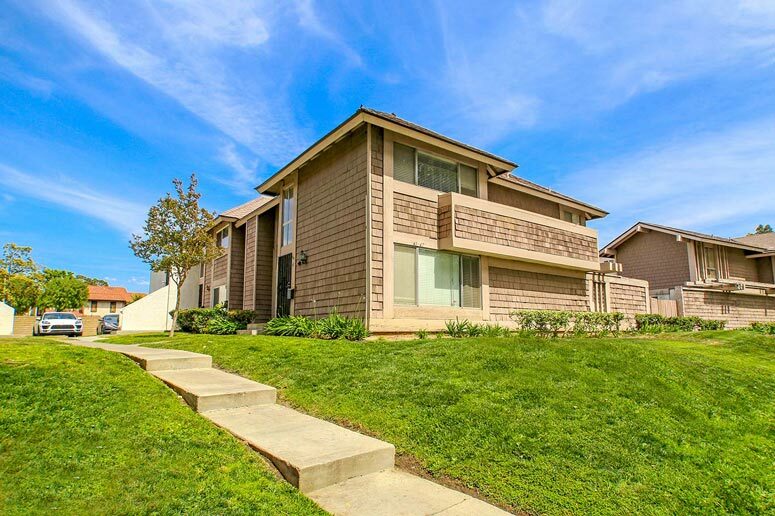 The Walnut Square community is a home tract in the El Camino Real community in the City of Irvine. The neighborhood homes were built in 1971 and is located just west of 5 Freeway and borders Yale Avenue, Irvine Center Drive and Jeffery Road. It is a short walking distance to Oak Creek golf course and Hoeptner Park. Walnut Court homes are one and two level townhouses starting from 858 to 1,619 square feet of living space with attached one car garages. Monthly homeowners association dues in the Walnut Square community cover hot water, trash and hazard insurance. 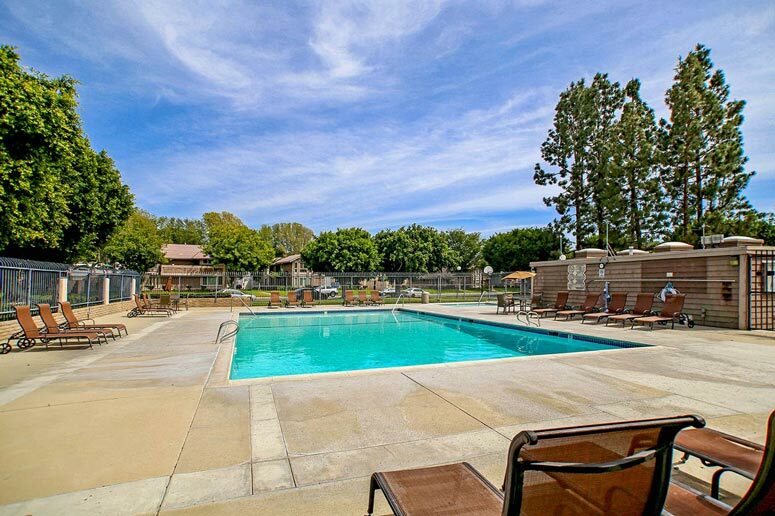 There is a nice community pool as pictured below, children's pool, community park, sports court and outdoor barbecue and entertainment areas. There is no additional Mello Roos tax here at Walnut Square.